Sotheby’s and Christie’s will both hold Impressionist and Modern sales in New York during the first week of November. Sotheby’s will offer 61 lots during the Evening Sale on November 2nd, with Christie’s Evening Sale following on the 3rd. The latter is comprised of 85 lots, and is expected to bring at least $200 million. 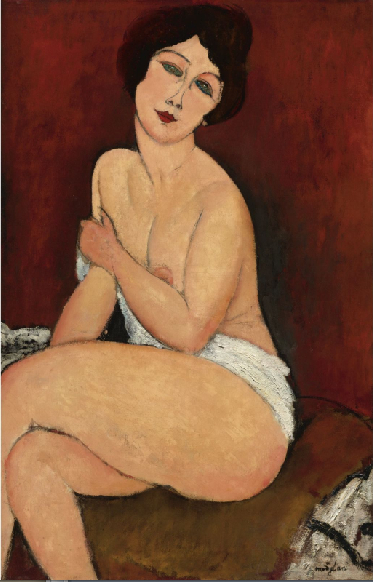 At the Sotheby’s sale, two works by Modigliani are among the five lots with the highest presale estimates. Nu Assis Sur un Divan (La Belle Romaine), last seen on the market at Sotheby’s in 1999 when it sold to the present owner for $16.8 million, is expected to fetch at least $40 million (though the auction house does not publish a presale estimate). 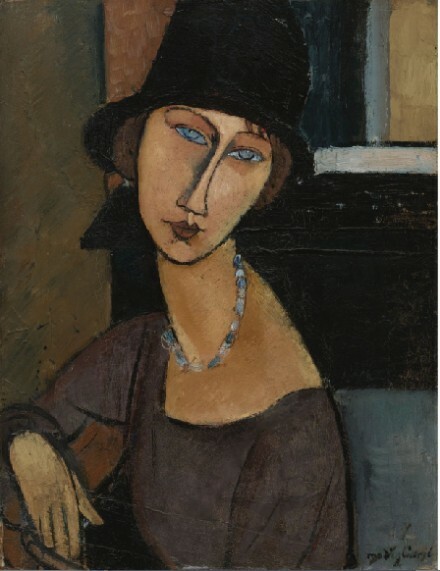 Sotheby’s set the record for a Modigliani painting at auction in 2004 with the sale of a portrait of Jeanne Hébuterne. Another portrait of the artist’s lover, Jeanne Hébuterne (Au Chapeau), is for sale at Sotheby’s next week. It is expected to fetch $9-12 million. The record for a work in any medium by Modigliani was set earlier this year at Christie’s by a sculpture sold at $52.3 million. 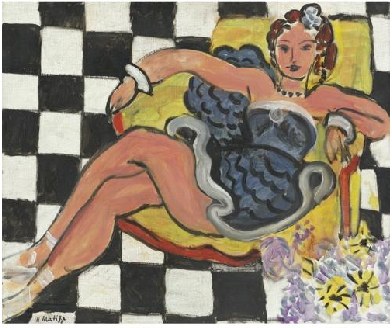 The lots with the third and fourth highest presale estimates are a painting and a sculpture by Henri Matisse, respectively. 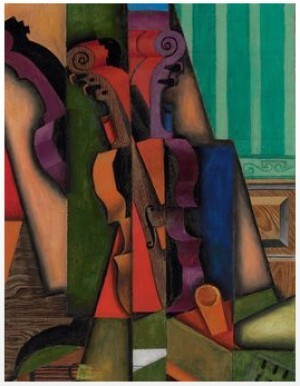 Danseuse Dans le Fauteuil, Sol en Damier, a colorful canvas from 1942, is estimated to bring $12-14 million, and a small bronze titled Deux Negresses is expected to fetch at least $8 million. Two of the top five lots at the Sotheby’s sale are being sold to benefit YoungArts, the core program of the National Foundation for Advancement in the Arts (NFAA). Along with Modigliani’s Jeanne Hébuterne (Au Chapeau) is a lilypad painting by Claude Monet titled Le Bassin Aux Nymphéas that carries a presale estimate of $20-30 million. 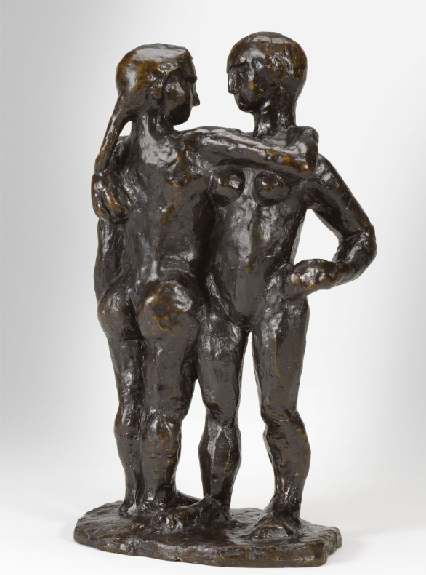 The featured lot at the Christie’s Impressionist and Modern sale is a large bronze by Matisse, Nu de dos, 4 état (Back IV). 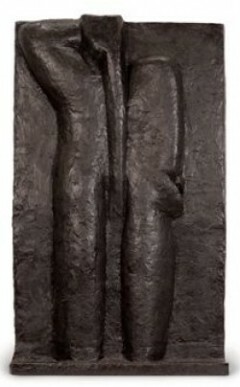 The work is the last in a series of four life-size sculptures together titled Backs I-IV. The work for sale is one of twelve bronze casts of the culminating relief, and one of two examples that are currently in private hands. 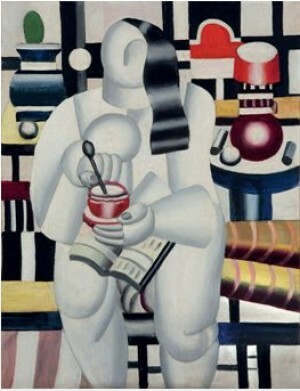 Another work from this collection is among the top lots, and serves as the catalog’s cover image. 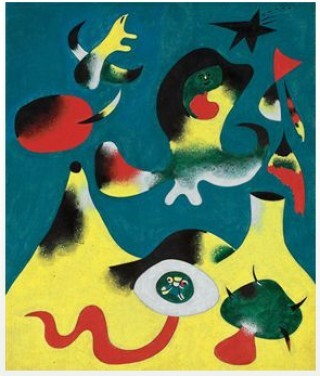 Joan Miró‘s L’Air of 1938 is estimated to fetch between $12-18 million, as is Fernand Leger’s La Tasse de thé of 1921 and Alberto Giacometti’s Femme de Venise V.
The Giacometti sculpture stands at about two-thirds the height of the artist’s last sculpture to make headlines when it sold for £65 million at Sotheby’s this past February, becomming the most expensive work ever sold at auction. Last year’s comparable sale at Christie’s bought in $65.7 million for 28 lots sold, while the equivalent Sotheby’s sale brought in $181.8 million for 66 lots sold. After the summer’s underwhelming Impressionist and Modern auctions in London, there is hope that the fall auctions will indicate that this sector of the market is strengthening. Check back for on-site coverage of the New York auctions on November 2nd & 3rd. 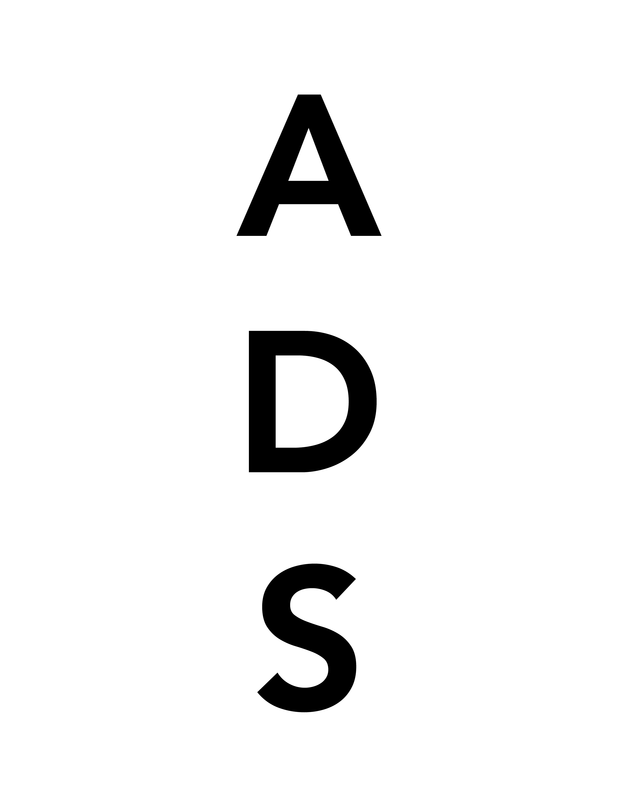 This entry was posted on Wednesday, October 27th, 2010 at 2:18 pm	and is filed under Art News. You can follow any responses to this entry through the RSS 2.0 feed. You can leave a response, or trackback from your own site.